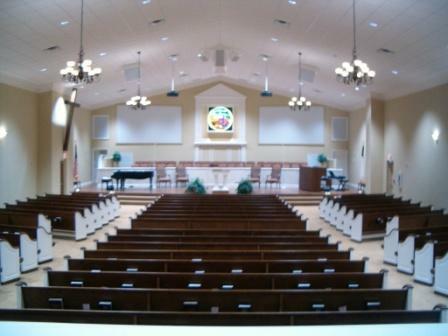 I have taken about a 10 day vacation from writing in the blog, but am back to tell you a little about Dresden First Baptist Church’s 2009 – 2010 Theme. Our theme for the coming year will be: “Maximizing Church Membership”. Our church is in the midst of working on our plans over the coming weeks for the start of the new church year in September. No matter what our plans are, it will be involving the reclamation of a biblical view of church membership. Also involved will be a focus on Sunday School and starting new Sunday School units. If you, dear reader, are a member of our church, I encourage you to pray and think about Sunday School classes that we currently do not offer that would be good additions to the church program. I do know that the Sunday School Ministry is planning a Singles Class to start the first Sunday of September. Also included in this vision for a new vision is a bold thrust in our church for missions involvement and awareness. I will be working with the pastor to encourage our church to adopt an active, overseas missionary and communicate with that missionary on a regular basis. That way we will be praying for and communicating with an actual missionary. We hope to eventually start local church mission projects and also encourage individual volunteer mission trips. Maybe, in the near future, our church will commission a church member to full time, international missions.